Take the challenging walk to Federal Falls near Orange. Keep your eyes out for birds and butterflies along the way and be rewarded with waterfall views at the end. Because of the altitude, the weather can change quite quickly. You should always check the weather forecast before setting out for a walk. It's advisable to bring a jumper with you, and in winter always bring a raincoat and warm clothing. Most of the walk is easy, however the last 336m of the walk is a very steep incline down to the falls and while there is a rail to assist, it should only be attempted by confident walkers. 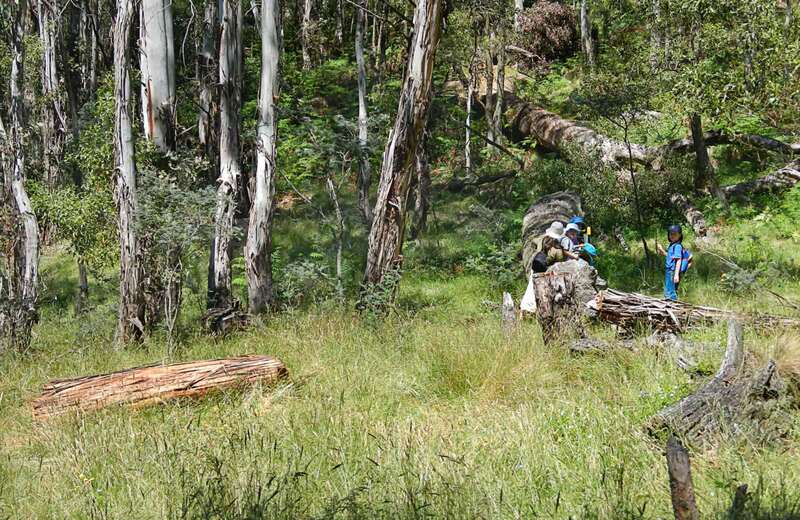 This loop track starts and finishes at Federal Falls campground, passing through snow gum forest and past gigantic rock faces on its way down to Federal Falls. If you’re there after the rain, you’ll be in for a pretty sight. You can start the track at either the northern or southern end of the campground. If you want an easy return trip to the falls, it’s best to take the northern track there and back, and if you’re planning to hike the loop track, it’s recommended to walk in a clockwise direction; starting at the southern end as you’ll be heading downhill on the steeper sections. Whichever way you choose to hike, you’ll be accompanied by a range of flora and fauna along the walk. See flag flowers and Australian pea flowers and notice the colourful butterflies as they flutter by. You might also hear the song of the grey currawong as you make your way towards Federal Falls. 02 6332 7680 To contact the KARST Conservation Unit in this office. Mount Canobolas State Conservation Area is always open but may have to close at times due to poor weather or fire danger.